About two-thirds of Americans favor the legalization of marijuana -- the greatest majority ever recorded, Gallup said in a survey Monday. The number has climbed dramatically since Gallup asked the question in 1969, when only 12 percent supported legalization. Support later grew to the 20-percent range, but momentum stalled until 2000, when it began a steady increase. Approval by a majority of respondents was first seen in 2013, when Colorado and Washington state legalized recreational use. Marijuana is still illegal at the federal level, and U.S. Attorney General Jeff Sessions has promised a crackdown on marijuana. Sessions' pledge, though, has been weakened by President Donald Trump's comments that he would likely support a federal bill allowing states to determine their own policies regarding marijuana. 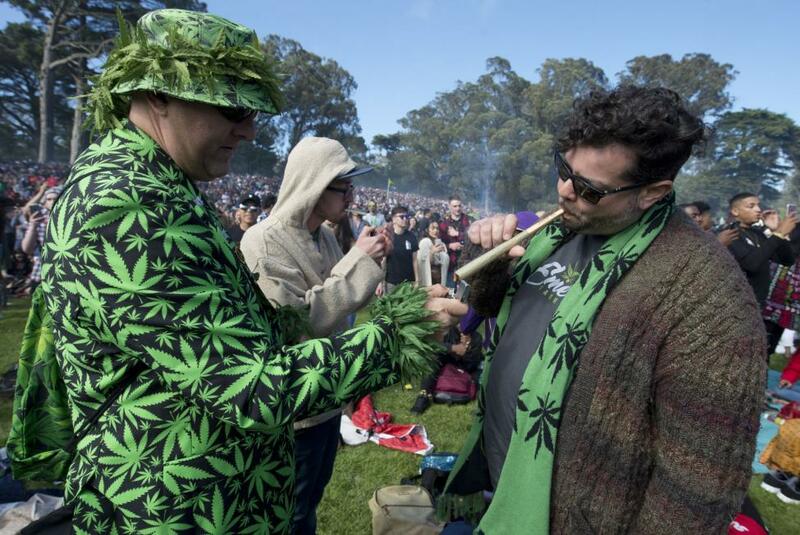 Gallup's poll Monday showed 53 percent of self-identified Republicans, 75 percent of Democrats and 71 percent of independents support legalization. Among Americans 55 or older, 59 percent said they support legalization -- up from 50 percent last year. The 18-to-34 age group is the strongest proponent of legalization, with 78 percent favoring it. Sixty-five percent of those 35 to 54 support legalization. Gallup surveyed more than 1,000 people for the survey, which has a margin of error of 4 points.